Moore is a breath of fresh air as a same-gender-loving man of color playing someone closer to his true self. Oliver is not the first gay male fashion maven to be depicted onscreen (Stanley Tucci’s Nigel in The Devil Wears Prada is a standard bearer). 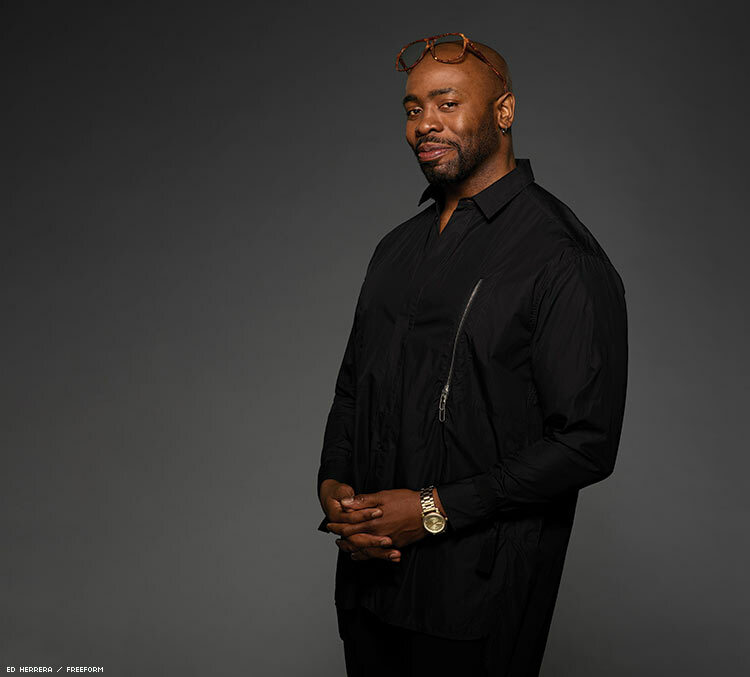 But as portrayed by theater, film, and television veteran Stephen Conrad Moore, Oliver is a trailblazer in terms of representation for same-gender-loving men of color on the small screen. “Life does imitate art, and so for my job I want to create the art that is going to lead us into where we need to be,” he adds. A Yale School of Drama alum, Moore has appeared in tough guy parts on prominent TV shows like Chicago P.D. and Empire. But it wasn’t until he landed Oliver on the forward-thinking The Bold Type — which also features a biracial, bisexual lead character and TV’s first lesbian Muslim character — that Moore, who is a same-gender-loving man of color, got to play someone closer to home. Previously he enjoyed a run portraying a married gay man in the Susan Stroman-helmed 2016 off-Broadway play Dot. It turns out that some of what Moore brought to Oliver was built into the character. They’re both artists, and while Oliver hails from Oklahoma, Moore grew up just a state away in Kansas City, Mo., the son of a schoolteacher and a pastor. Also, both he and his character are big fans of drag. The TV landscape has long been barren in terms of depictions of LGBTQ people of color, although with shows like The Bold Type, Empire, and Pose, more are seeing themselves represented in ways that resonate. And in some cases, as with Moore playing Oliver, same-gender-loving people of color are stepping into those roles. 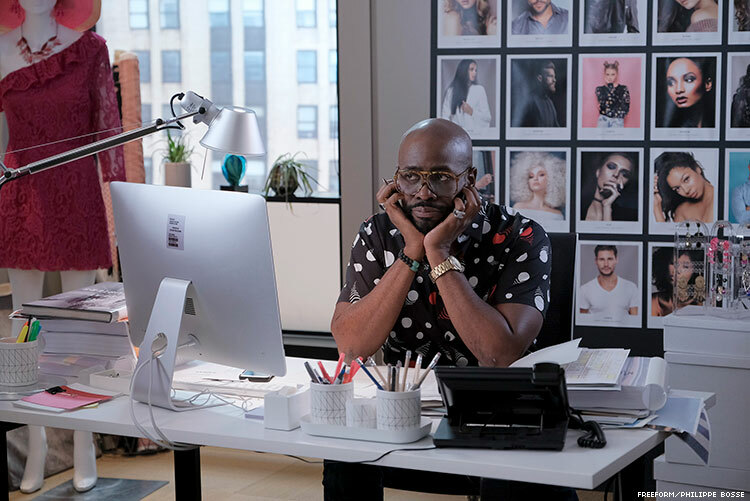 Now in its third season, The Bold Type kicks off a storyline that finally peeks behind the curtain of the fashion department head who delivers self-effacing witticisms like, “I can’t control models any more than I can control my moods.” Without giving the goods away, the series delves into Oliver’s personal life for the first time when someone from his past returns in need of help. And while the story The Bold Type writers have fashioned for Oliver is likely to pleasantly surprise some viewers, it's really another piece of his character that Moore recognizes from people he grew up with and knows. Watch our interview with Stephen Conrad Moore below.